With this article the authors intend to present an explanatory model about the process of adoption, development and deployment of workflow systems and the resulting organizational changes. Throughout the article they highlight major internal and external factors that influence the organization, adoption and development of the workflow system. The model, the factors and organizational changes introduced in this article emerged from the literature review and two case studies. The results of the literature review led to the definition of the concepts and subjects that were developed in the case studies. The first case consisted of a longitudinal study where the authors followed the process of adoption and development of a workflow system in a company. The second case study consisted of a post-implementation workflow system - retrospective study. In a context of economic change, where a business strategy based on a functional perspective has given way to business processes, Workflow Systems (WS) have gained prominence. This is the result of two main aspects: one economic and one technological (Magal & Word, 2009; Lousã, 2004). The economic aspect results from the recognition by several business managers that the current competition resulting from globalization requires the automation of all processes of a business activity, and not just discrete individual tasks. The technological aspect derives from the emerging computing environments, able to take into account the nature of the process, integrating multiple information sources and the contributions of individuals or work teams. In this context, there was a great interest in WS. This technology was capable of providing “coordination, control, and automatic communication work, both among people and between computers in a context of organizational process through the execution of software on a computer network whose order of execution is controlled by a computerized representation of business processes” (Joosten, 1994, p. 2). However, most research focused mainly on issues related to technology, not revealing a particular concern about the factors involved in its adoption, development and use. However, the successful implementation of a WS, and the use of its potential, must go through the identification and understanding of the factors that influence its adoption and development as well as the possible organizational changes that will take place. 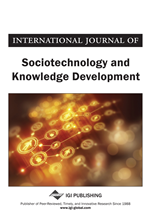 In this paper, the authors intend to present the internal and external factors in the organization that influence the adoption and development of a WS and the type of organizational changes that may result from its use. The nature and scope of the work process. This second classification, suggested by the International Data Corporation, is the most common. One of the main differences between these definitions resides in the degree of rigidity of rules associated with the process (Lousã, 2004). At one extreme there is the Production WS that helps to support the rules of the process, running them in a very rigid and strict way. This type of system is adequate to support critical business processes, where nothing can fail and everything should be run according to the model of the process. Usually, in this category the processes take place within the same department (e.g. t the payment of salaries in a finance department). At the other extreme, there is the Collaborative WS, whose focus is not so much on the process itself, but rather the sharing of information between the actors involved in the process, allowing them to work together. Such systems can be applied, for example, in business areas such as engineering design or architecture. It is usually to find in this type of collaborative systems are committed employees with a higher level of knowledge about the issues involved. This way it’s important to prevent limitations in terms of creativity. The Administrative category involves essentially administrative processes (e.g. purchase orders). In the Administrative WS context the solutions must provide means for occasionally, but quickly and easily, participating in the Workflow, because: participation in this type of system is sporadic; it is not the main function of the participants. The ability to deliver solutions to a large number of users should be provided with less administrative overload as possible, so any employee can participate in Workflow. Finally, since the System Administrative Workflow is different for every organization and changes with frequency the ability to easily change the design of the process should be provided. The Figure 1 represents the different categories (administrative, production and collaborative) according to the nature (structured and unstructured) and the scope of the process within the organization (covering only one department or the entire company). In the same figure, the authors present the type of control of the WS. As shown, the domain of control is more user-centered in the case of the Collaborative Workflow and more focused in the system in the other cases (Production Workflow and Administrative Workflow).